The iconic main character from Singapore’s number one sitcom, “Phua Chu Kang”, will be back in Malaysia for another round of hilarious comedy show along with Singapore’s top ventriloquist Joseph Then and controversial funnyman Fakkah Fuzz this coming April! 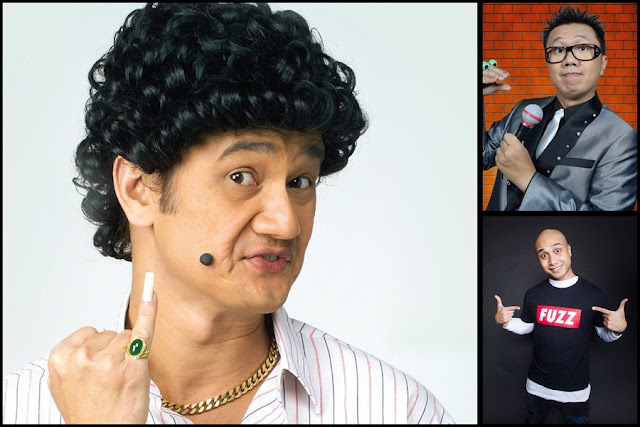 Just last year, Phua Chu Kang played by Gurmit Singh together with Fakkah Fuzz had participated in the third annual comedy night “Laugh Die You 2.5” in Malaysia along with fellow Singaporean comedian Mark Lee and multicultural Malaysian comedian Rizal van Geyzel. Now, the 51-year-old comedian who is known to be the best in Singapore, JB and possibly Kuala Lumpur as well – is set for another show that you don’t want to miss! The show will also feature one of the greatest ventriloquists in Southeast Asia Joseph Then who will be bringing his wacky puppet characters like Ah Beng and Duck Vader – just to name a few – for some innovative ventriloquism act. Meanwhile, the energetic and outspoken Fakkah Fuzz who recently made his way into the TOP 10 list of Laugh Factory's “Funniest Person In The World” competition will also be bringing his bragging rights across the causeway. Malaysian up and coming singer KAEL and the Gangster Squad will also perform at the show. 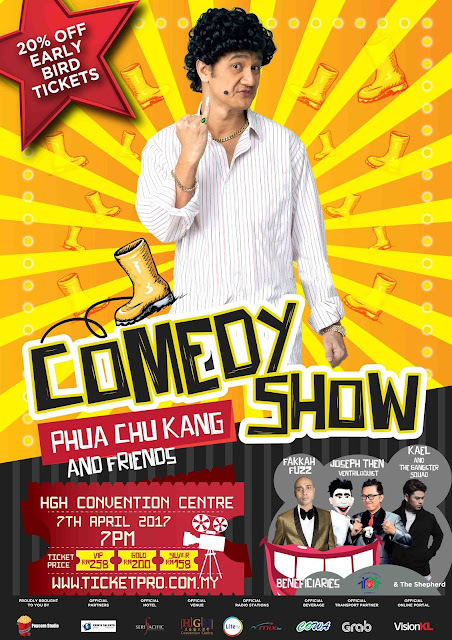 “Phua Chu Kang and Friends Comedy Show” takes place on 7 April 2017, 7pm at HGH Convention Centre, Kuala Lumpur. Tickets for the show starts from RM162 onwards and can be purchased via ticketpro.com.my.